Solid Platform Lift – Lift-U | A division of Hogan Mfg., Inc. 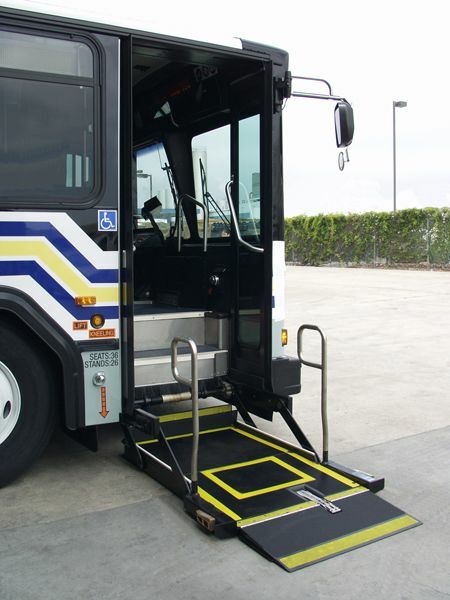 The Lift-U® model LU10 Wheelchair Lift is our SOLID PLATFORM onboard lift. The lift is mounted in the stairwell area beneath and parallel to the vehicle floor at bottom step elevation. When not in use, the stowed lift serves as the bottom step of the vehicle, allowing the intermediate step(s) to remain permanently fixed. When in use the lift platform extends horizontally outward and raises or lowers between ground level and vehicle floor level.